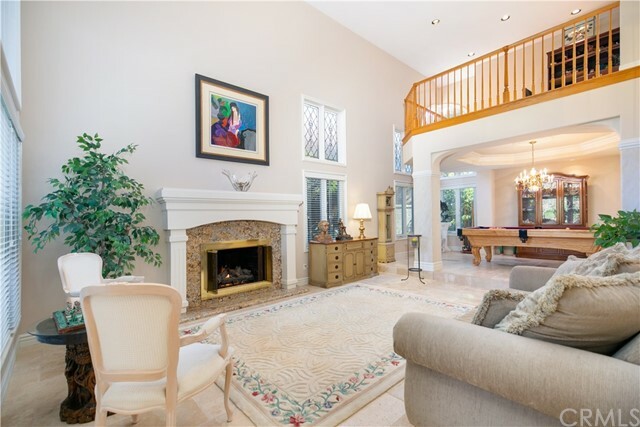 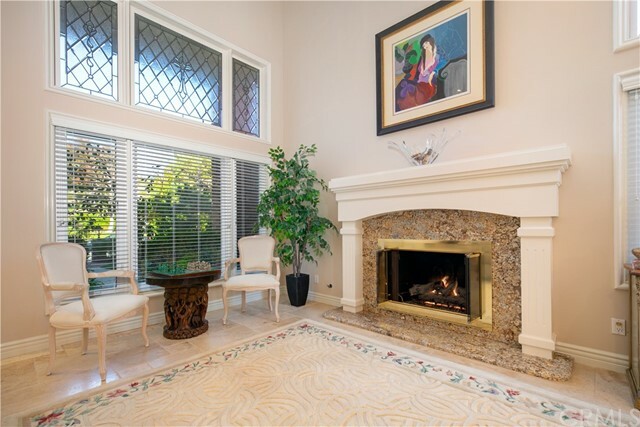 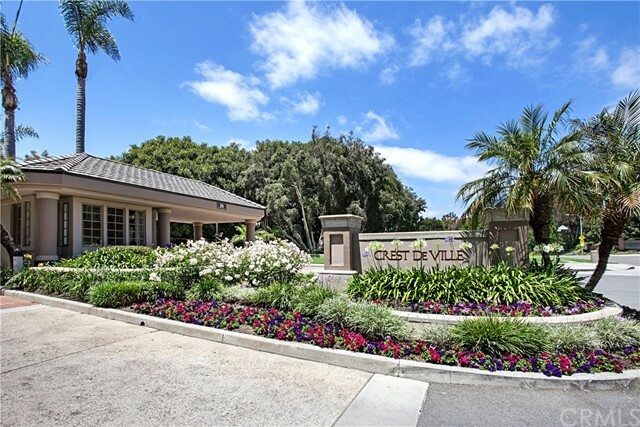 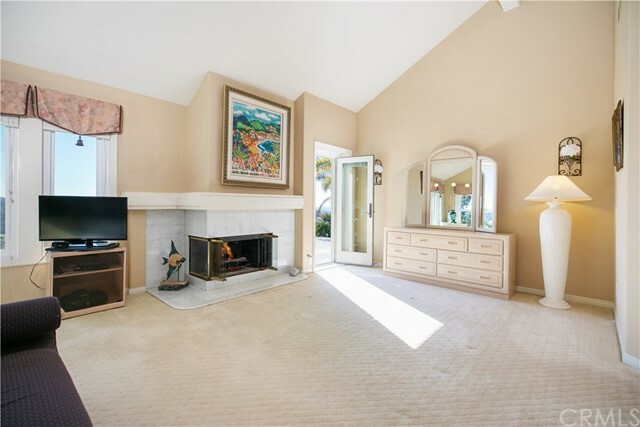 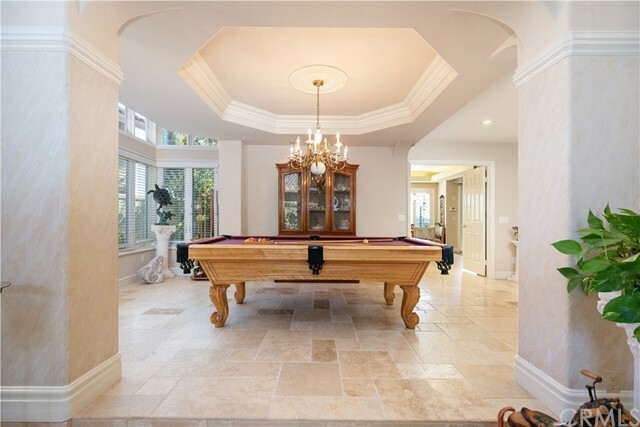 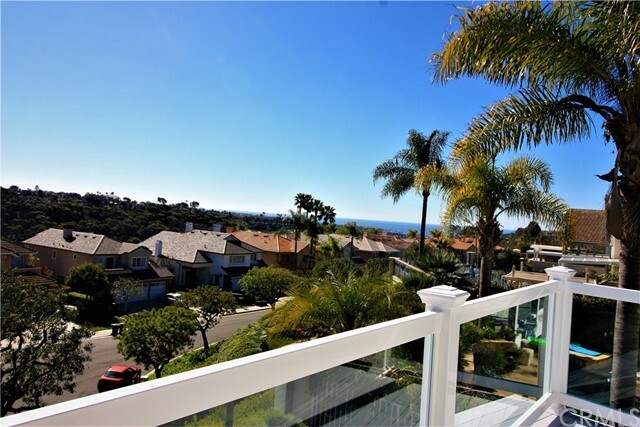 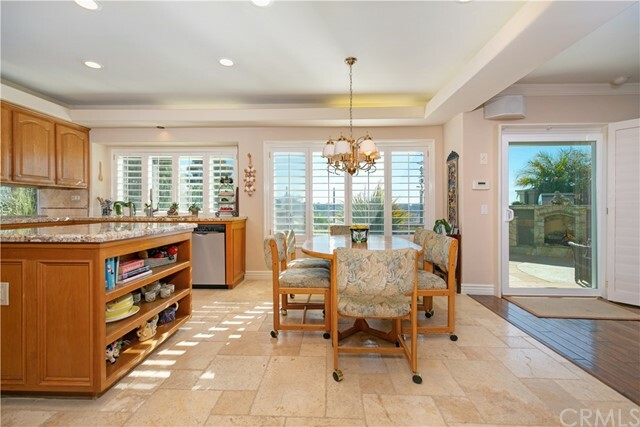 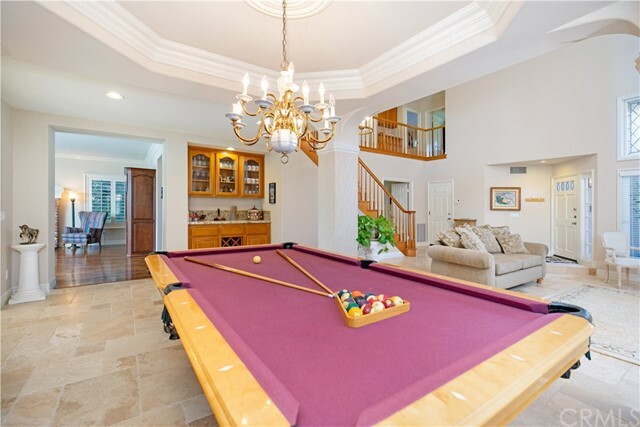 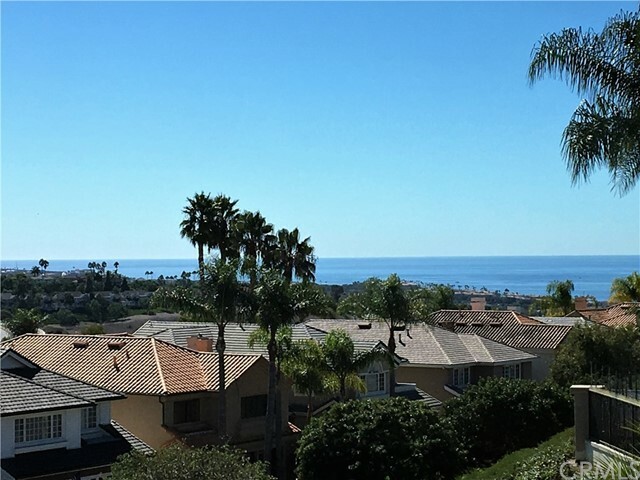 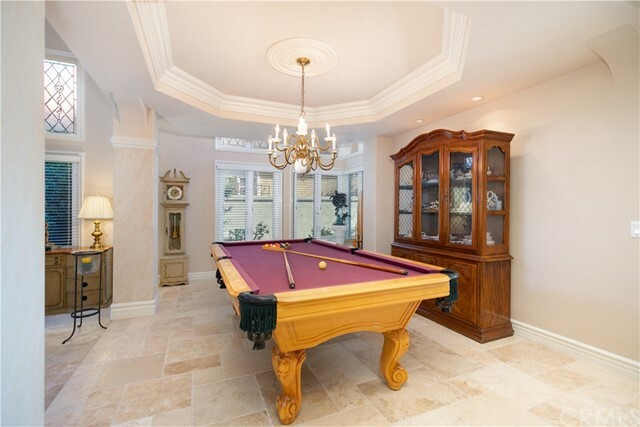 Located in the Coastal Gated community of Crest De Ville. 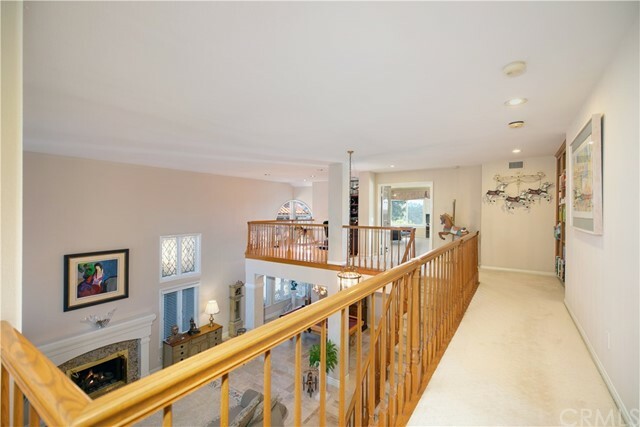 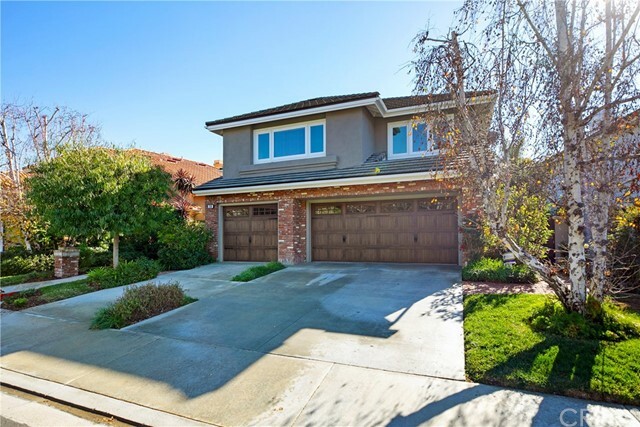 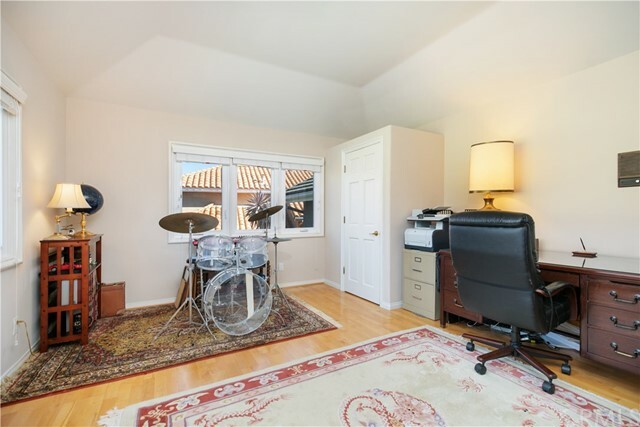 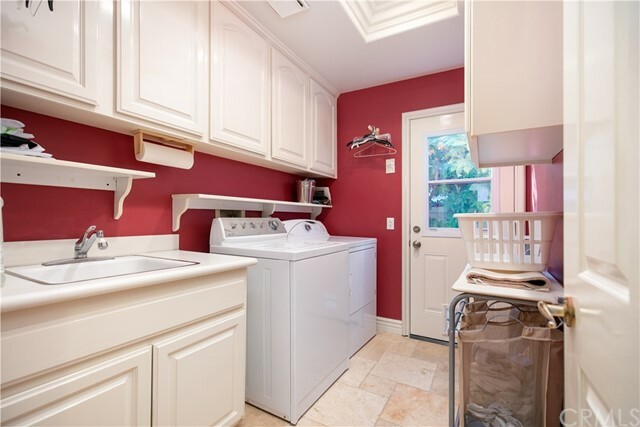 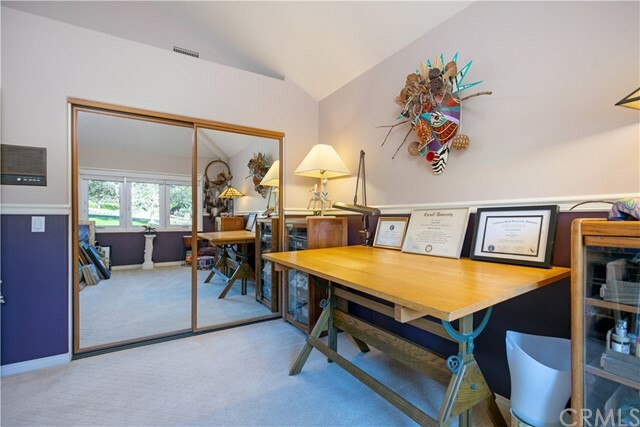 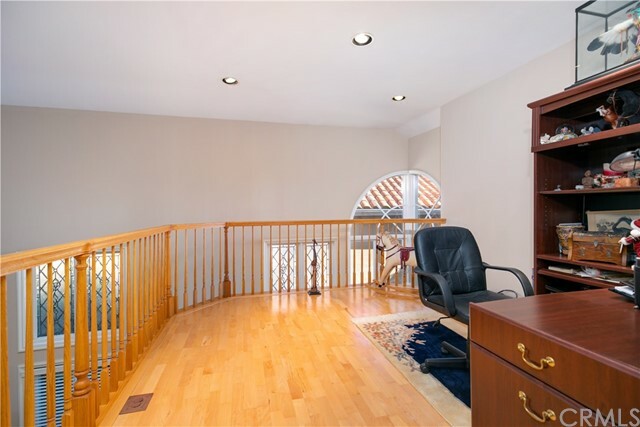 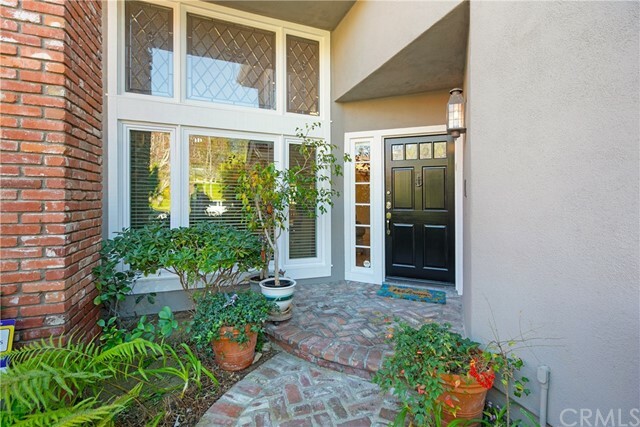 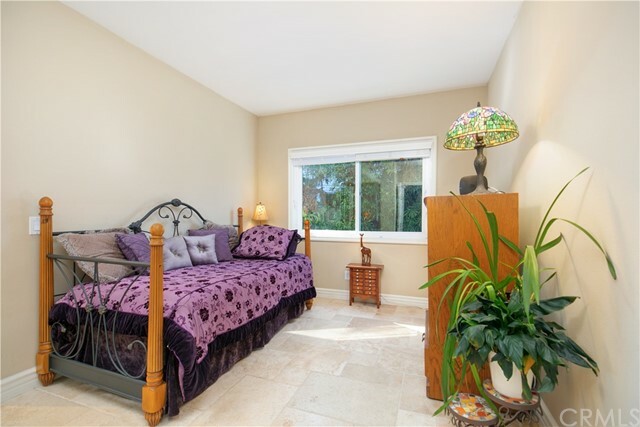 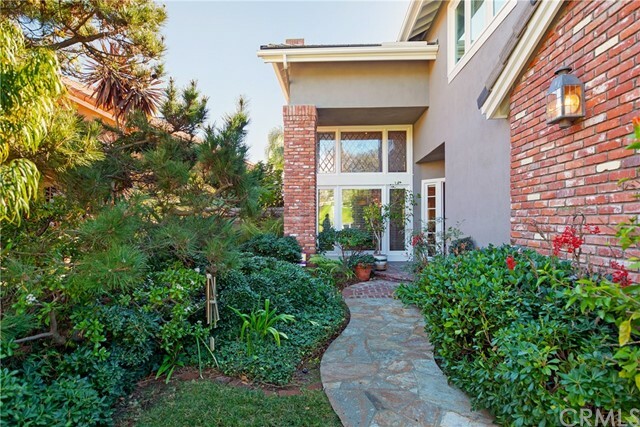 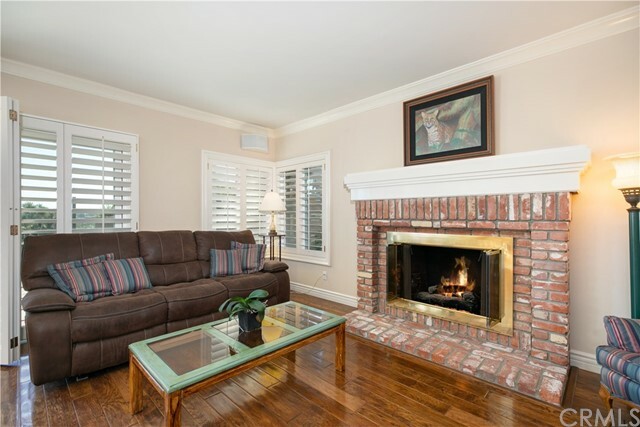 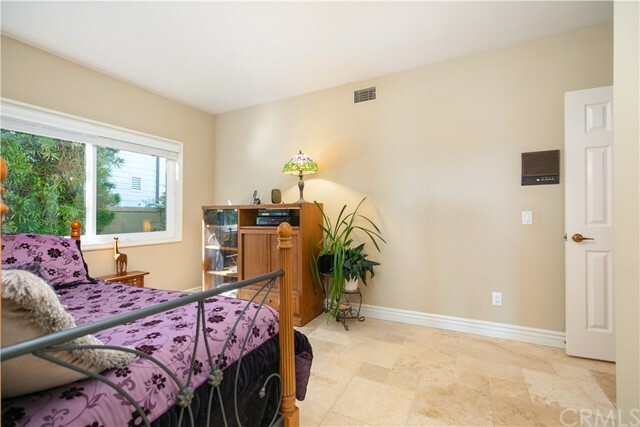 This beautifully-maintained and updated home features five bedrooms, three baths, plus a loft. 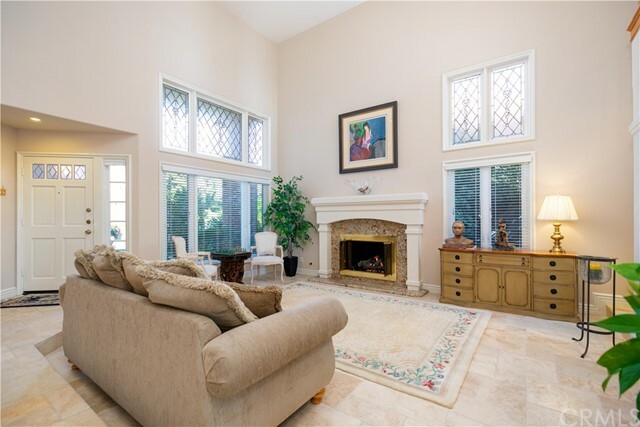 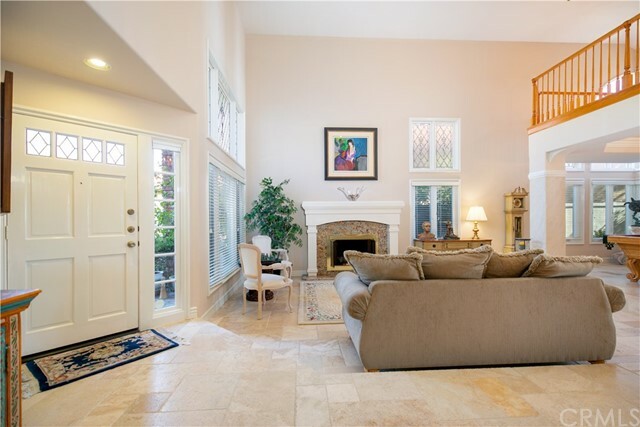 The open floor plan offers an elegant formal living room with a fireplace, dining room, and dramatic soaring ceilings, highlighted with custom leaded glass windows. 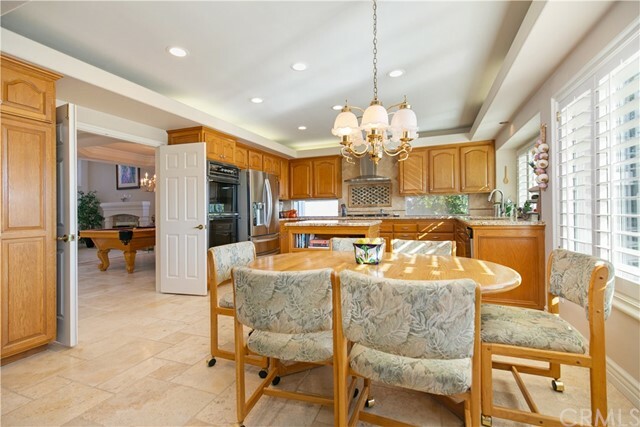 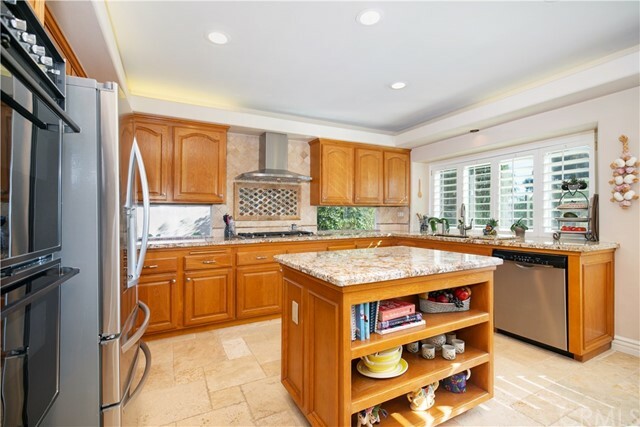 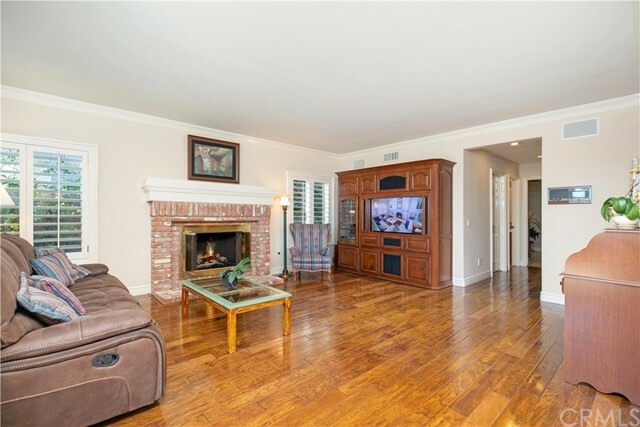 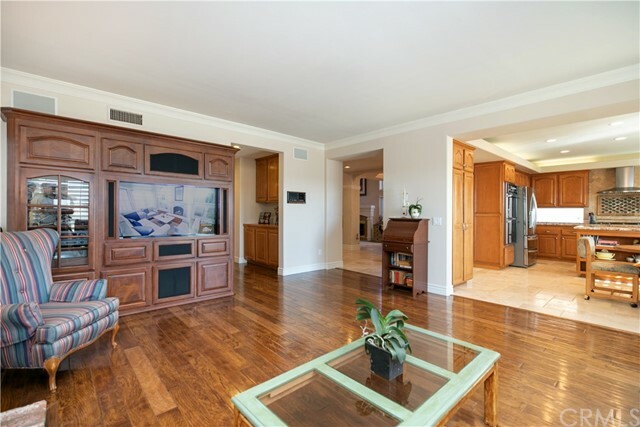 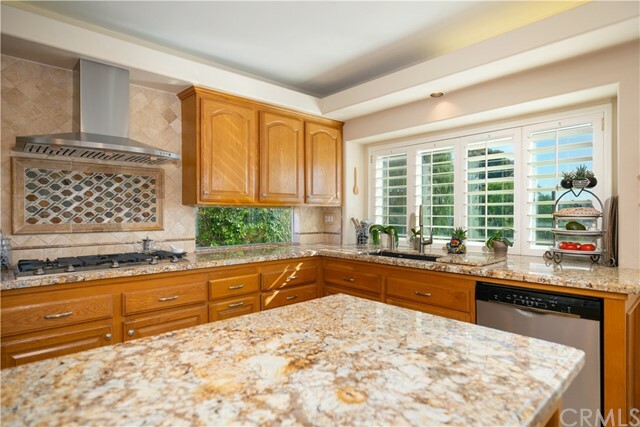 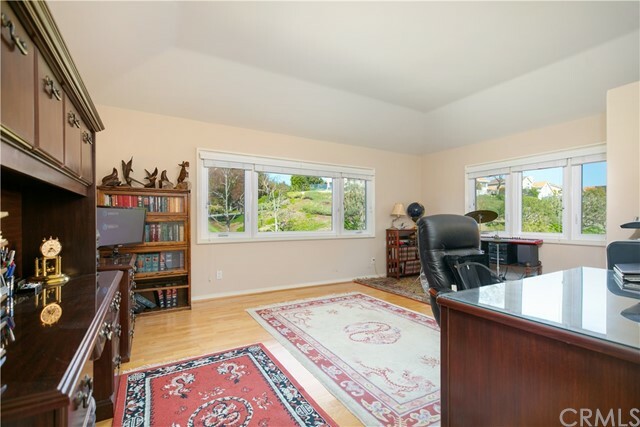 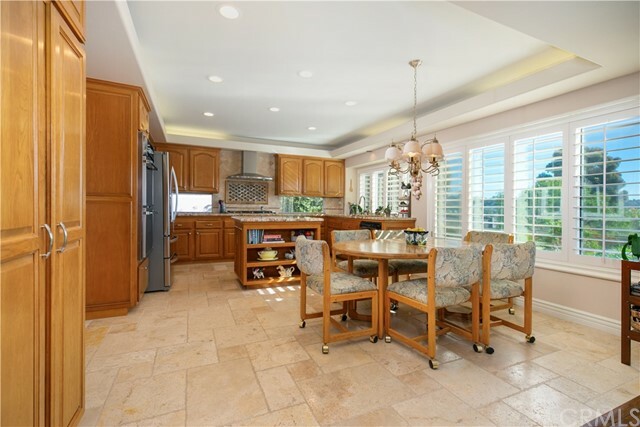 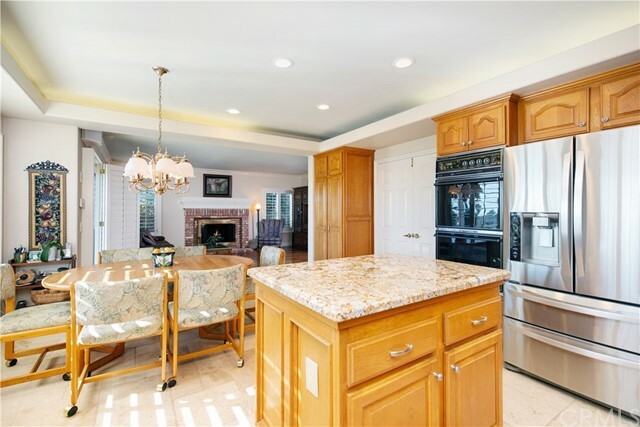 The remodeled kitchen showcases granite counters, stainless steel appliances, and an island overlooking the casual dining area, and spacious family room with an inviting fireplace. 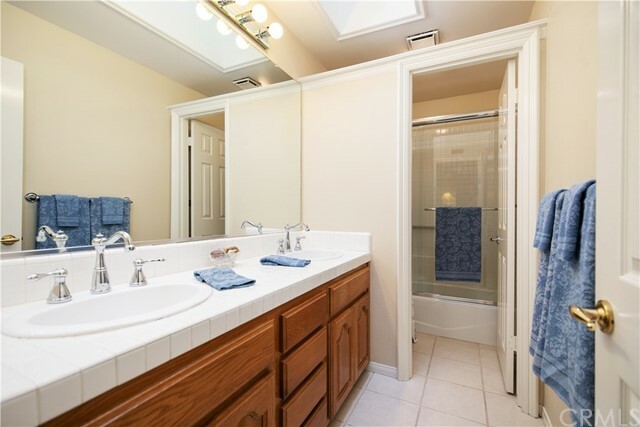 This floor plan consists of a lower level bedroom, full bath, and laundry room. 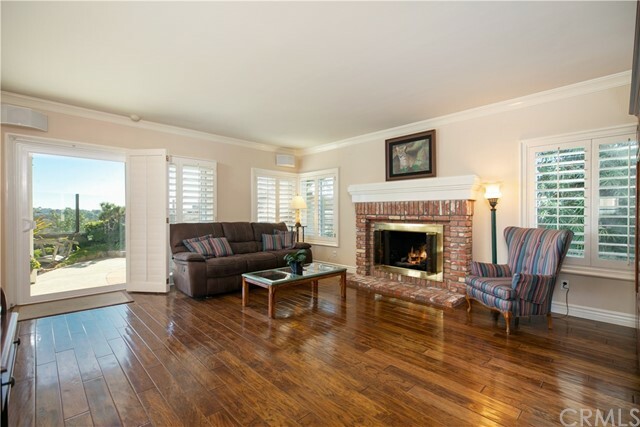 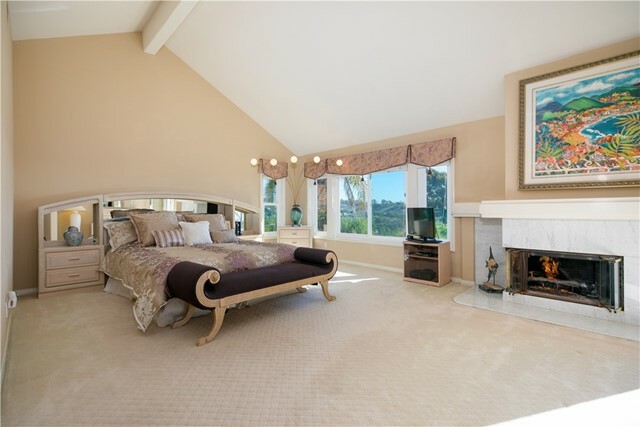 On the second level a spacious master suite features a cozy fireplace, retreat, and relaxing over sized deck with an ocean view! 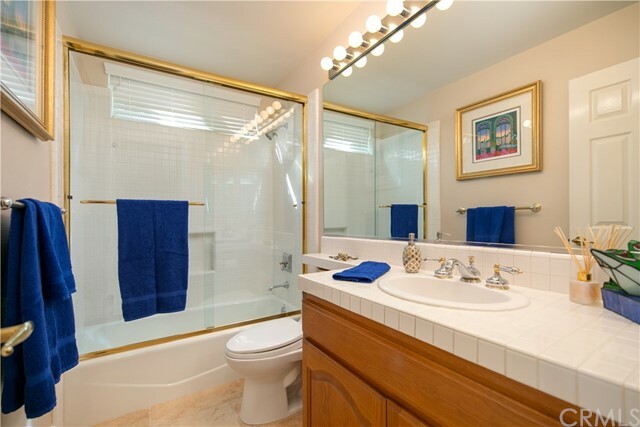 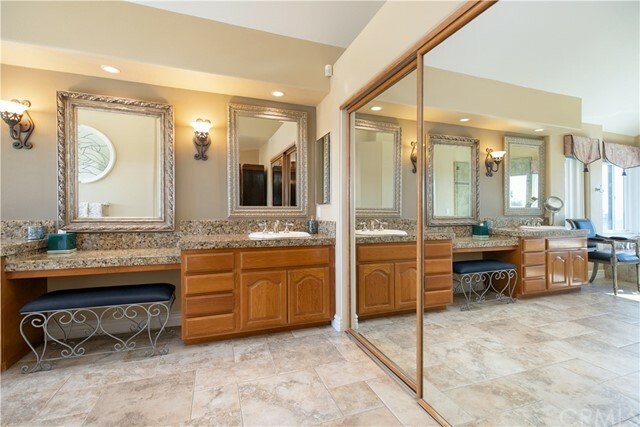 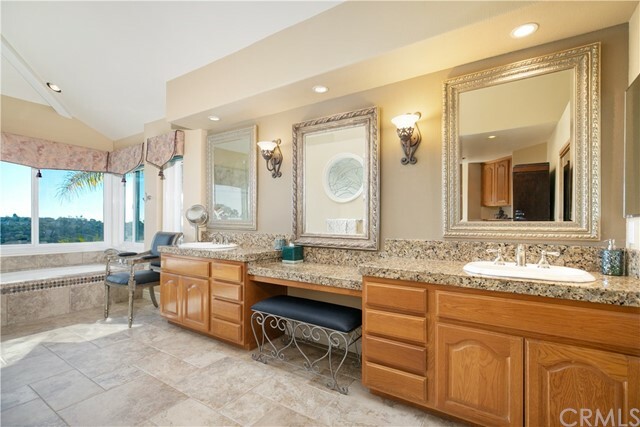 The master bath offers a walk-in closet, dual sink vanity, jetted oval soaking tub, separate shower, and a private water closet. 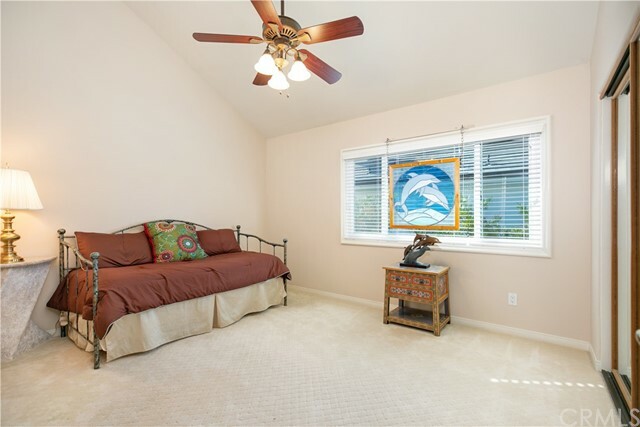 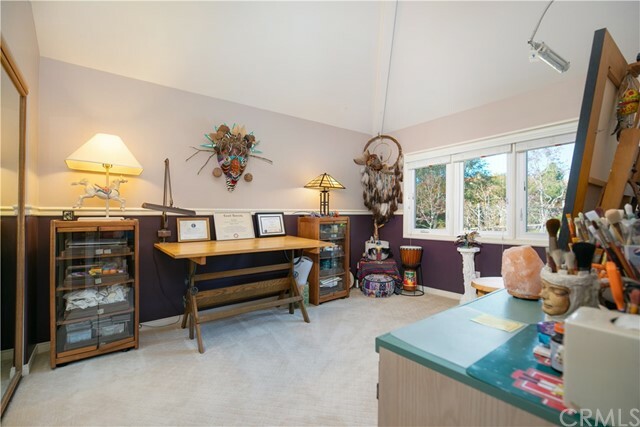 There are three additional upstairs bedrooms, full size bath, plus a loft. 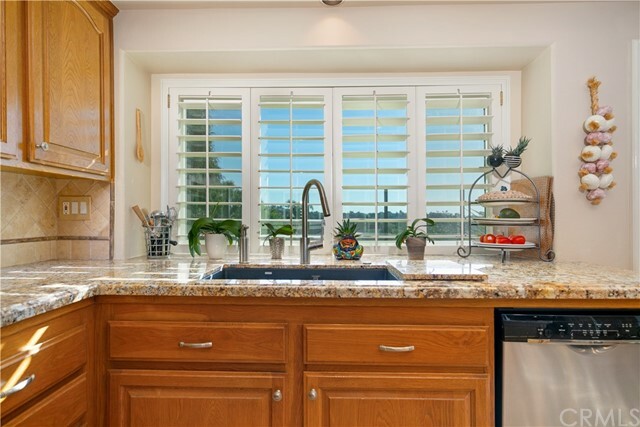 Extra features include built-in cabinets, plantation shutters, recessed lights, travertine and wood flooring, newer Milgard windows, and fresh paint inside and out. 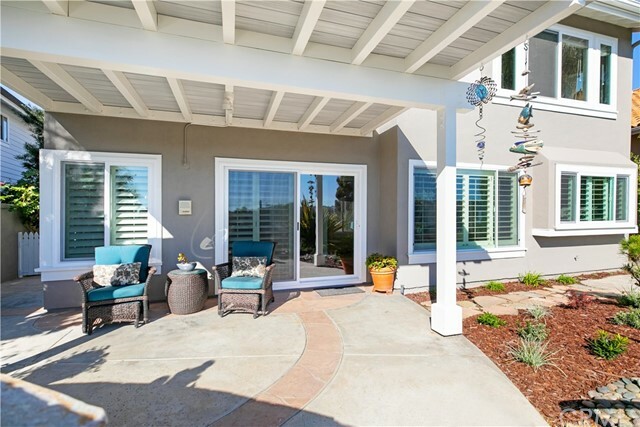 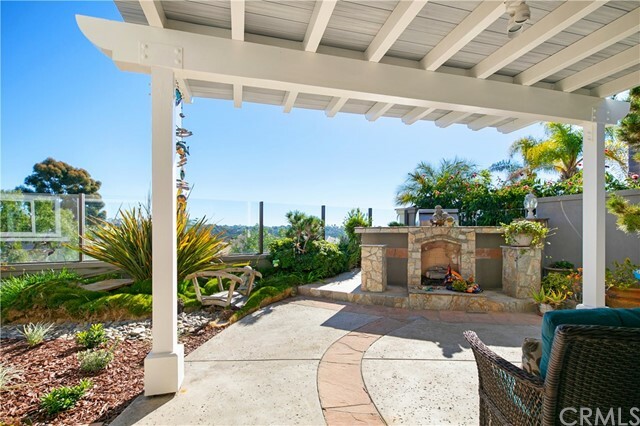 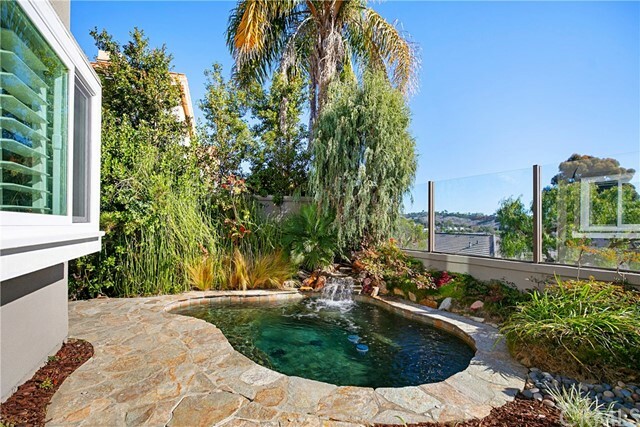 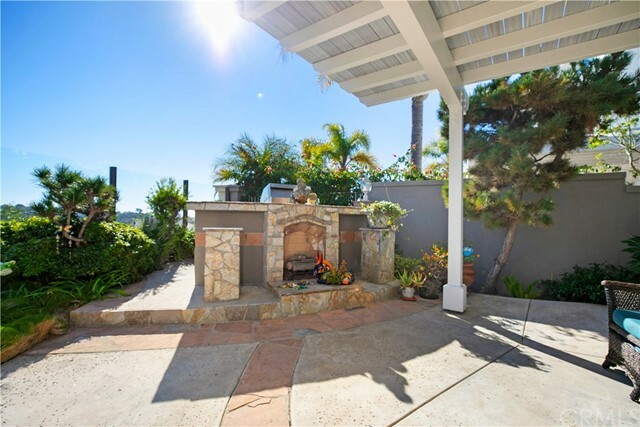 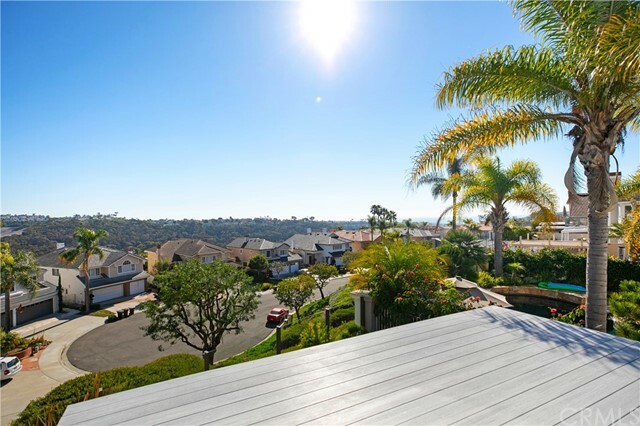 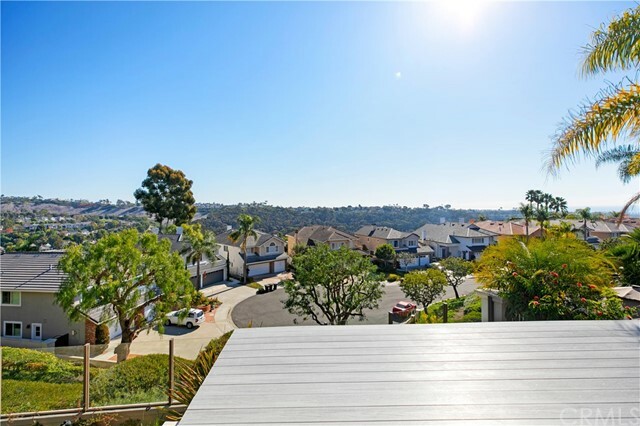 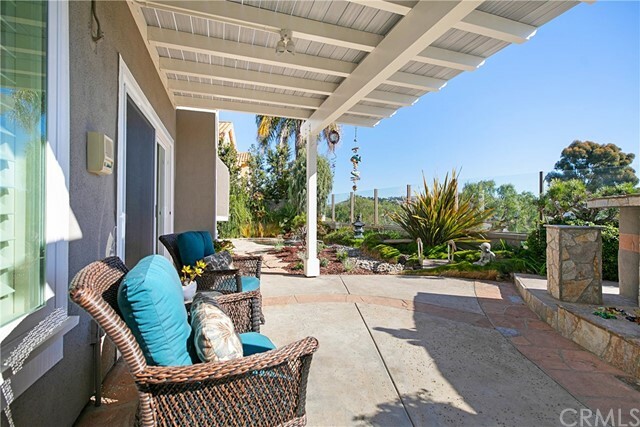 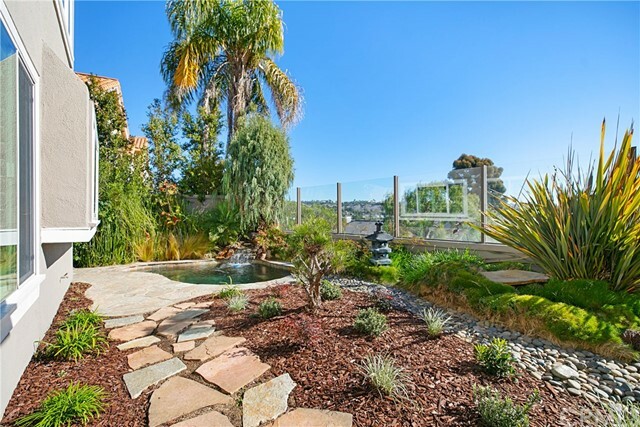 The backyard highlights a built-in barbecue, fireplace, spa, and stunning views from the hills to the ocean! 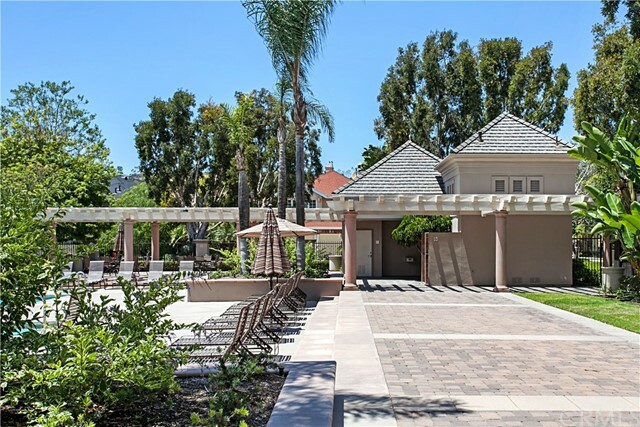 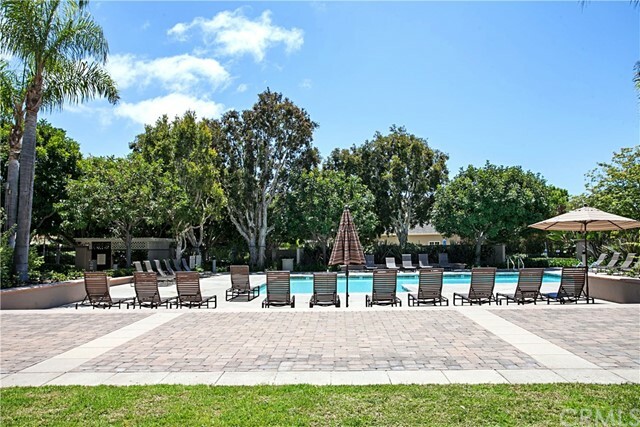 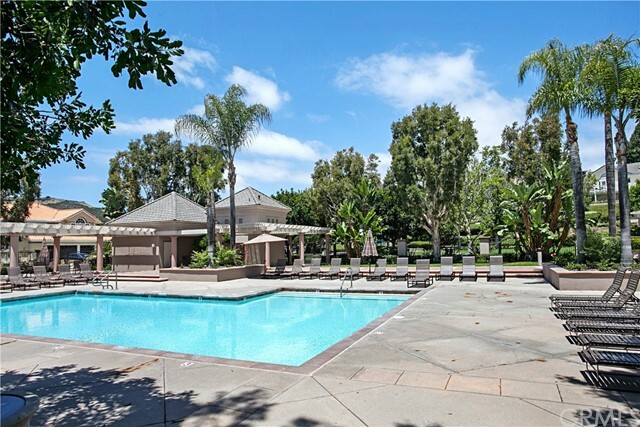 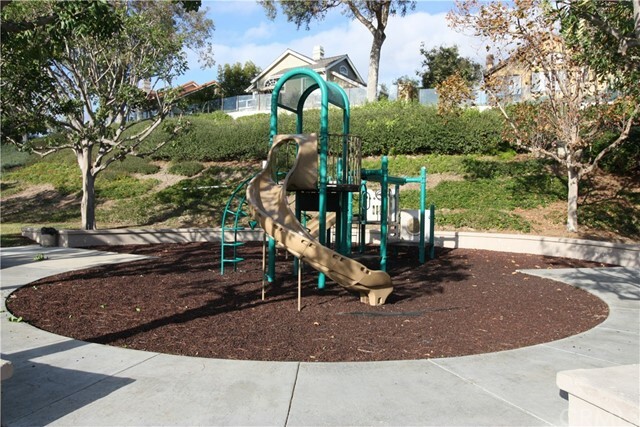 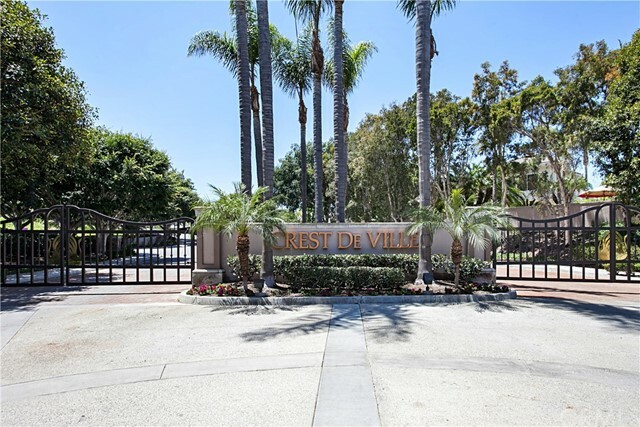 Crest De Ville community features an association pool, spa, playground, and sports court located one block away. 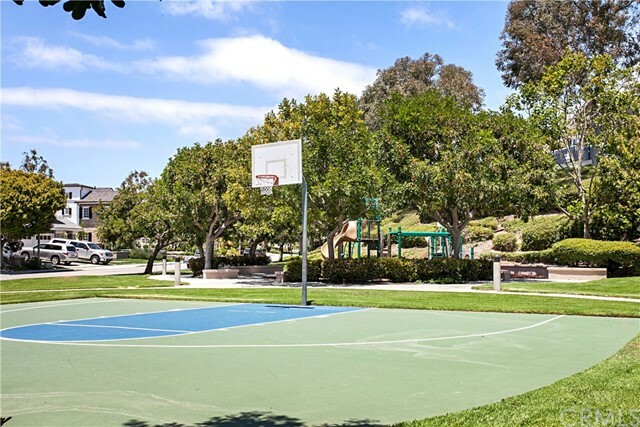 Additional lifestyle opportunities include nearby shopping, movie theaters, City Hall, Library, Toll Roads and Freeways. 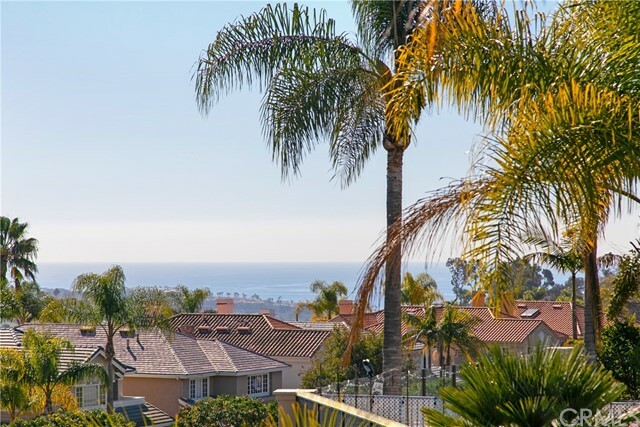 Approximately a 2-mile hike or bike ride to the Beach.